Alias? : Bishop, Eleanor F. D. Pension? : Yes, application 05/03/1907 filed in Vermont. 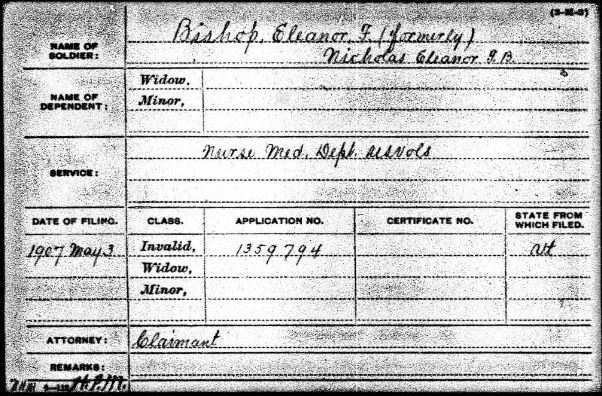 Remarks: Full name Eleanor F. Davidson Bishop Nicholson. Appears to have been married twice. Second marriage to Lucas Langdon Nicholson in 1893 in Burlington, VT.